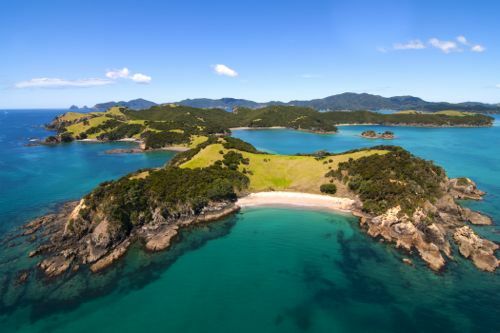 This self-drive tour is a comprehensive loop of the North Island of New Zealand. 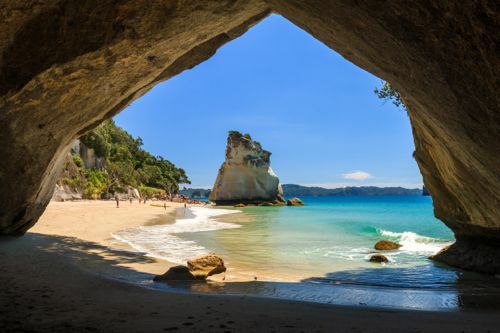 Visit some of the best of the country’s spectacular coastline as well the second oldest National Park in the world, explore Maori culture in Rotorua and New Zealand’s colonial beginnings at Waitangi, delight your taste buds with some world class wine and local, organic produce in Hawke’s Bay. This tour gives you the freedom to explore at your own pace in your hire car, and the choice of filling your days with activities or just sitting back with a glass of wine and enjoying the fabulous surroundings. Accommodation is a mixture of boutique B&Bs and small, friendly hotels. Please note that all of our tours are completely flexible so we can alter this in any way you see fit. Day 1	- WELCOME TO NEW ZEALAND! On arrival into Auckland you will be greeted at the airport and transferred by private vehicle to the accommodation of your choice. After a long flight it is recommended to get outside and stretch the legs; thankfully there is an abundance of wonderful locations around the city for such an activity. Today you are free to explore Auckland and the surrounding region. From the dramatic black sand beaches of the west coast to the picturesque islands of the Hauraki Gulf you are spoiled for choice. Relaxing in a waterfront bar or restaurant is a wonderful way to round off the day. Today you will pick up your hire car and make your way north from Auckland to the Bay of Islands. This region encompasses over 140 subtropical islands, a handful of historic towns, undeveloped beaches and an abundance of marine life. Popular activities for your time here include boat trips to Cape Brett and the ‘Hole in the Rock’ on Piercy Island with plenty of wildlife spotting along the way or sea kayaking around the sheltered coves of the islands. If you prefer land-based activities, explore the pretty towns of Kerikeri and Russell or visit New Zealand’s most important historic site where the country’s founding document was signed. Today you will make your way south towards the Coromandel Peninsula. You will by-pass Auckland, pass over the Bombay Hills, through rolling farmland, and on to the peninsula. With 3 nights to explore there is lots to keep you busy. The not to be missed Cathedral Cove is a favourite, as is unique Hot Water Beach. Hiking in the lush centre of the peninsula, kayaking in marine reserves, getting out on a fishing charter to catch the big one, or taking a walk from Whangapoua over to New Chums beach, which was recently voted in one of the top 10 beaches in the world are also highly recommended. One thing is for sure; whatever you do, and however you spend your time you will not want to leave and memories will reach long into the sunset. Leaving the Coromandel Peninsula after breakfast you will find the North Island rolling out in front of you. If you are a Lord of the Rings fan then today is the perfect opportunity to visit Hobbiton, peek into Bilbo’s world and take refreshments at the Green Dragon. You will arrive in to Rotorua, one of New Zealand’s top destinations in the early-to-mid afternoon. 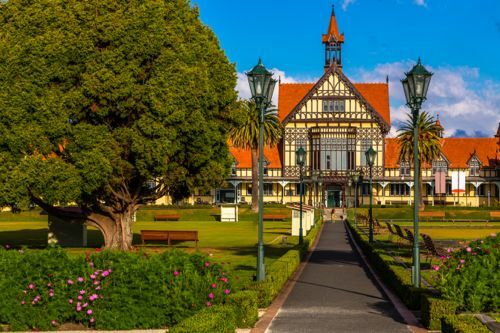 There is plenty on offer in Rotorua and something for everyone. From the towering trees of the Redwood Forest, to the mud pools and geysers of the Te Puia Cultural and Geothermal Centre, to the Polynesian Spa, to the excitement of luging at Skyline Rotorua. Not to mention the exhilarating floatplane flight over Mount Tarawera to Blue Lake and the Buried Village, or Rainbow Springs; home to Kiwi and many other birds and reptiles native to New Zealand. The destination today is the Hawkes Bay, an area famed for many things, none more so than the world class wine that is grown in abundance here and the delectable morsels that pair perfectly. Opportunity abounds in all directions to treat the taste buds. With 2 nights here there is time enough time to explore and get a feel for one of the great corners of New Zealand. 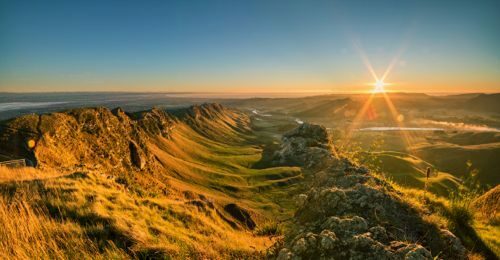 It is highly recommended that if the weather gods are being kind then visiting Te Mata peak at sunrise should not be missed. As the first rays start to warm New Zealand you will be pleased with your decision and excited about the options that are available in the “Bay”. Time here is best filled visiting vineyards, marvelling at Napier – the Art Deco capital of the world or hiring bicycles to enjoy the rolling landscape at your own pace. Leaving the Hawkes Bay behind, you will make your way through towns such as Waipawa and Dannevirke, getting a feel for rural New Zealand before weaving your way down the Kapiti coast, past the Tararua Ranges, and into Wellington. 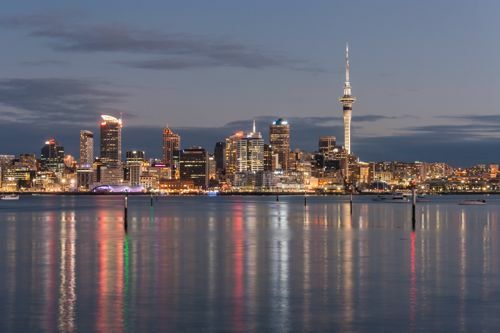 With 3 nights in New Zealand’s capital there is plenty to see and do. Wellington has always been a foodies dream with exceptional eateries at every turn; however, nowadays it is much, much more. 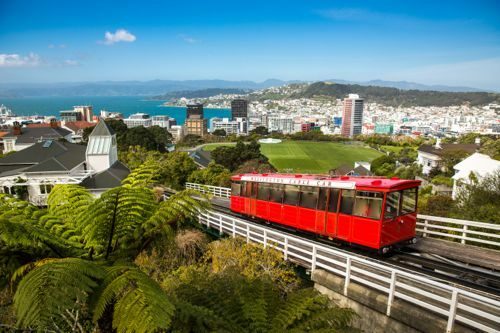 From the world-class national museum Te Papa; to the Weta Workshop, where you can see how Lord of the Rings was brought to life; and the biosphere Zealandia, host to some of New Zealand’s rarest wildlife. And if you want to see how New Zealand is governed then a free tour through the Beehive provides a great insight. 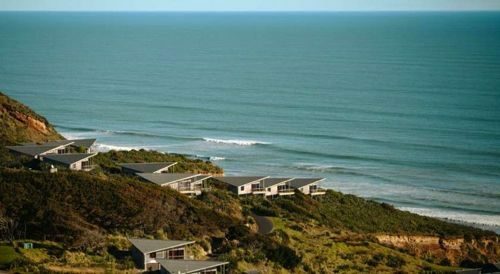 Don’t feel hemmed in by the city boundaries either as it acts as a great base for exploring the region; in particular a day drive to the truly rugged Cape Palliser, wine touring in Martinborough, or a day on Kapiti Island. The options here are endless. 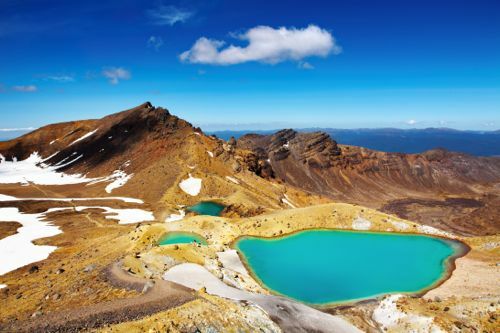 The Tongariro National Park is the oldest in New Zealand and second oldest in the world, and it is no wonder this special place was recognised as such so long ago. Perched on the Central Plateau you will find the North Island’s largest mountains and taking a stroll in the lower reaches of the park is a great way to get a feel for what is on offer. This said, of all the activities to be had in the park, the one that takes the headlines and entices people from all corners of the world is the Tongariro Alpine Crossing, which many experts believe to be “the best one day walk in the world”. The drive north will take you through the King Country, a rugged area of natural beauty and home to the Waitomo Caves, which are definitely worth a visit. There is a wide spectrum of activities to be had from a leisurely walk in the caves to the more extreme black water rafting. Your destination for the next two nights is Karioitahi, a small coastal location about an hour south of Auckland and the perfect destination to either relax with breath-taking views or explore a corner of New Zealand that is often overlooked on the tourist route. 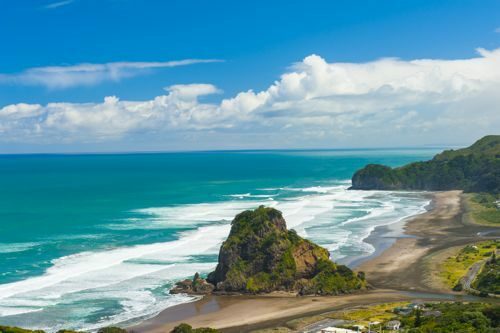 Karioitahi provides a great base for exploring the Awhitu Peninsula, where you can visit golden beaches that dot the coastline, the regional park, or the dramatically located lighthouse standing sentinel over the entrance to the Manukau Harbour. Make your way to Auckland International Airport where you will board a flight to your destination. All prices correct at the time of writing. Give us a call or email us at newzealand@fleewinter.com to discuss your requirements and get a confirmed price. Please remember this is a sample itinerary and we are happy to modify it to suit your plans. We can add or remove days and look at different places to stay to suit your budget or interests.